India showed just why no one was writing them off even after they had spent two-and-a-half months in Australia without a win. They might not be the strongest team in the field, but on big days in limited-overs cricket they stay calmer than most. In a match to potentially decide who finishes top of their group, India sat back and saw South Africa work themselves up into a frenzy, get too funky and wilt under the weight of their own mistakes. 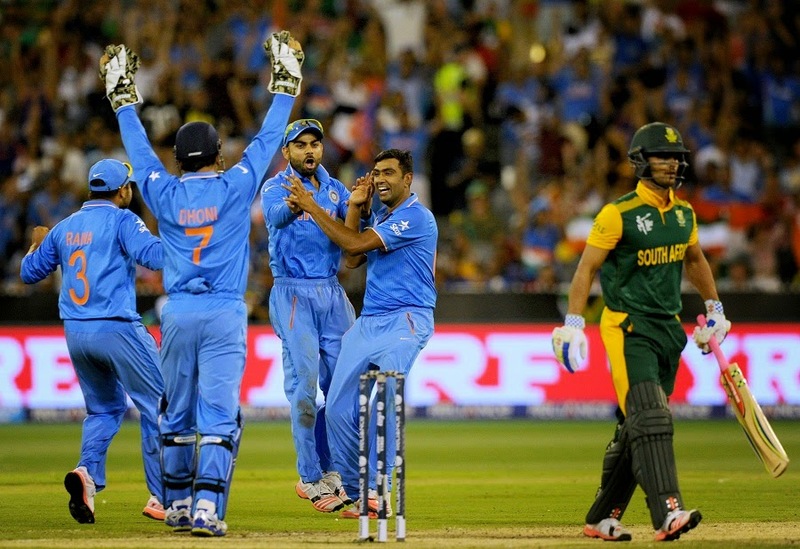 This was India's first win over South Africa in a World Cup match. If at all, India like going old school on big days. Shikhar Dhawan and Virat Kohli began slowly, made sure India had a solid platform before they began to accelerate. Dhawan went on to score his first century in three months spent in Australia - his personal best and also the highest score against South Africa in a World Cup match. Kohli fell for 46, but Ajinkya Rahane scored 79 off 60 to help Dhawan along. India kept the defence simple too: bowl as few bad balls as possible, and once again under pressure South Africa imploded.